It’s no secret that brunch or breakfast is my favorite meal to cook for people. I love whipping up benedicts or just a simple stack of pancakes or something. But when I’m just cooking for myself (or for me and Betsy), I almost always default to some sort of hash. Especially with the weather turning cooler, I love how flexible and warming a good hash breakfast can be. It’s simple food, but also hard to beat. 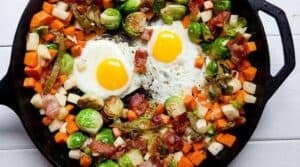 For this Brussels Sprout Hash, I browned up some fall root vegetables and big handfuls of brussels sprouts that get crispy and browned around the edges. Did I cook this all in bacon grease? Yes. Yes, I did. 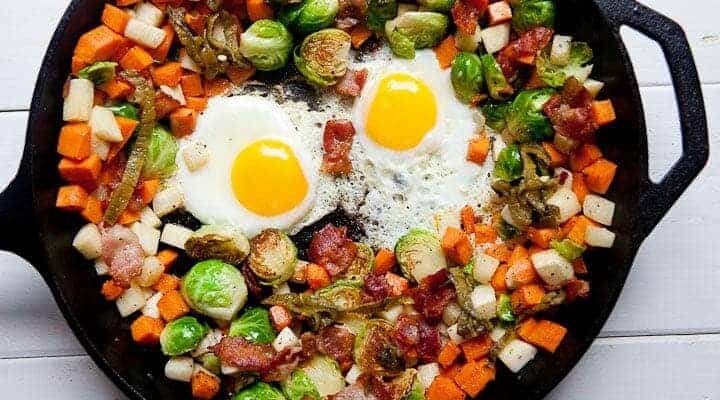 Sweet potatoes and turnips browned with bacon in this delicious brussels sprout hash. Served with over easy eggs always and forever. 1) Cut bacon into 1-inch pieces and add to a cold cast iron skillet. Start skillet over medium-low heat and cook slowly to render out fat from bacon. Cook until the bacon is crispy, approximately 15 minutes, stirring occasionally and separating bacon as it cooks. 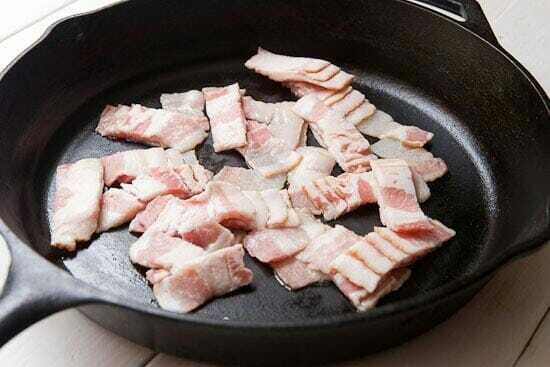 When bacon is crispy, remove the bacon, leaving the grease in the pan. 2) You want 3-4 tablespoons of grease in the pan. If you have less, add in some vegetable oil, if you have too much, pour some off. 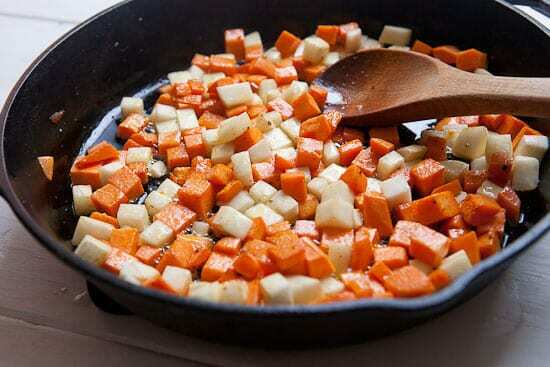 3) Place bacon grease back over medium heat and add diced sweet potatoes and turnips. Season with a pinch of salt and pepper and cook until vegetables are soft and starting to brown around the edges. 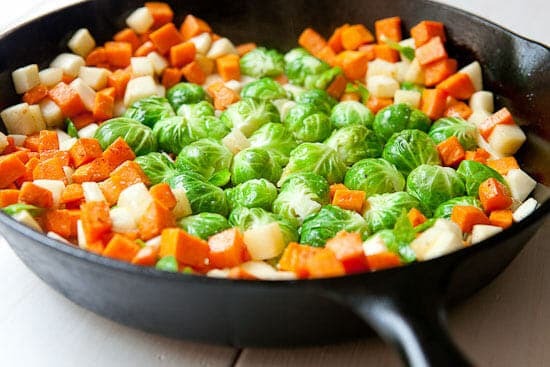 4) Push the root vegetables to the outer parts of the pan and add the brussels sprouts to the center of the pan. Try to arrange the sprouts in a single layer with the cut side facing down so they crisp up a bit. Let the sprouts cooked for 3-4 minutes. 5) Stir the hash together and add the bacon back in. 6) If you want, cook the eggs in the same pan by pushing the hash to the sides and cracking the eggs in the center. You can either cover the pan for a minute or two to steam the eggs (sunny side up) or carefully flip the eggs after a minute of cooking for an over-easy or over-medium egg. Serve the hash with the cooked eggs. Season each serving with a pinch of salt and pepper and hot sauce on the side! Let’s hash this out (had to do it). You can use seriously almost anything in a good hash. Any sort of leftover protein or vegetable would probably work fine. You can keep them savory or even add a dash of sweetness, like maple syrup, if that’s your thing. I prefer to use sturdy vegetables though and colors are always nice. The most important part of any hash is taking the time to dice up your vegetables in even chunks. 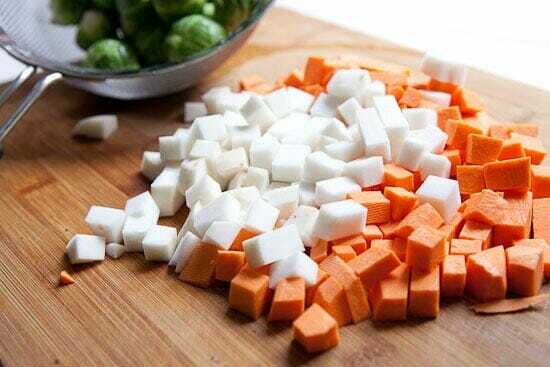 You don’t have to be crazy about it, but peel your root vegetables and chop them into 1/4-1/2 inch pieces. 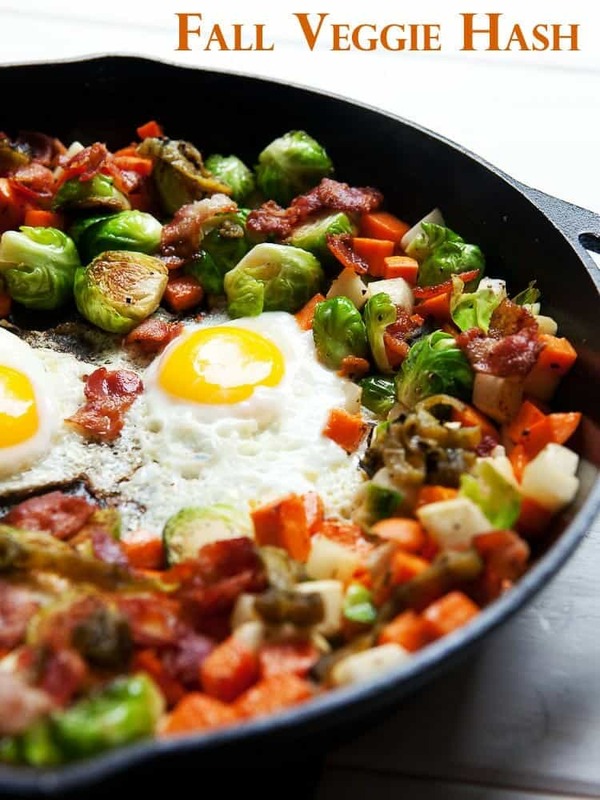 You can easily make Brussels Sprout Hash vegetarian by skipping the bacon and cooking everything in olive oil, but bacon is always good for breakfast. A little goes a long way here. 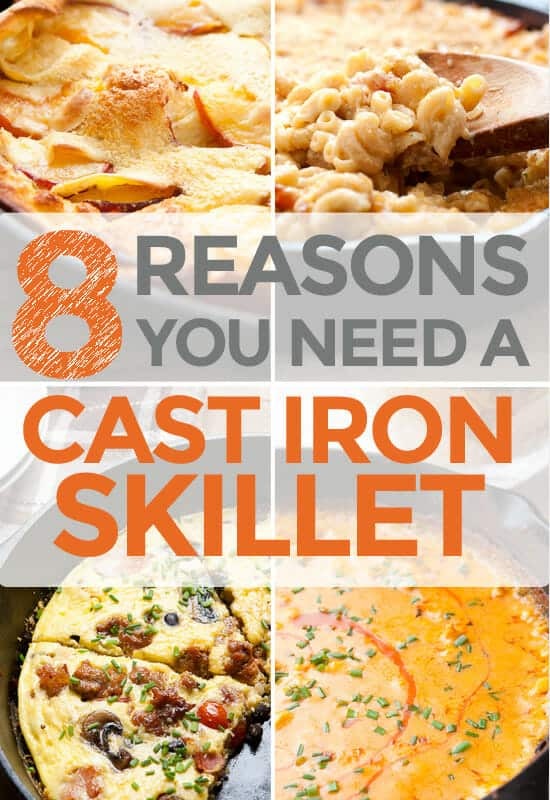 No need to pile a ton in your skillet. Start the bacon in a completely cold skillet (I like cast iron of course). 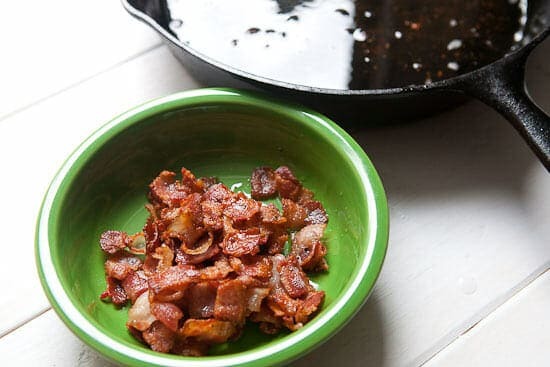 Place the skillet over medium-low heat and the fat in the bacon will render out leaving you crispy bacon bits and a skillet of grease that’s perfect for cooking! After 15 minutes or so you’ll have some serious bacon crispies. Don’t leave these in the pan as you cook the rest of the has or they will just burn. Nothing burns my bacon like burned bacon! Keep all that grease. Seriously… all of it. You want about 3-4 Tablespoons of grease here to cook the vegetables in. If you have more than that, definitely drain some off or your hash will be way too greasy. If you need to add more oil, use olive oil. Then toss in the root vegetables and cook over medium heat. Season them with salt and pepper until they are fork tender and a bit browned around the edges. To cook the sprouts, scooch the root vegetables to the outer sections of the pan and add the sprouts, cut-side down, to the center of the pan. This will make sure the biggest surface area of the sprouts is in contact with the hot skillet. The sprouts will cook quickly like this, just a few minutes, and be nicely browned on that cut side. Then you can stir everything together and add the bacon back in! For the eggs, you have options. You can definitely cook the eggs separately, but if you are just cooking for one or two, you can again move the hash to the outer parts of the skillet and crack in a few eggs right in the center. Assuming your skillet is well seasoned, the eggs shouldn’t stick and you should be able to flip them easily or add a lid and steam them for a few seconds for a perfect sunny side up egg. For me, this Brussels Sprout Hash is about as good as breakfast gets. Fancy pants brunches are fine and all, but this sort of breakfast wins me over personally. Hash on, people. Hash on! I have a glass-top electric stove – anyone know if I can safely use a cast iron skillet on that? Because I’m seriously going to have to get a cast iron skillet just to make this, it looks sooooo good. Hoping I don’t need a new stove, too. My bacon tip: I keep a “grease jar” in the fridge with just bacon fat, so any time I need some extra flavor in a skillet or griddle, bacon is always an option. Must be time for a new stove. Thanks for all the info! I love this!!! Breakfast tomorrow, or maybe dinner! I’m sorry, I do my best to eat Brussels sprouts, but there has to be a limit, and that limit is breakfast. But otherwise, it sounds delish (although I never would have put sweet potatoes and turnips together on my own)! I came home from a very long day and didn’t have it in me to thaw anything. I contemplated going out, but was looking at odds and ends in the fridge, certain I could pull something together instead of spending money on fast food. 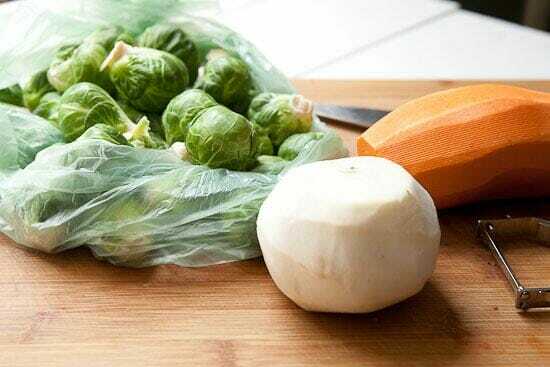 I googled “bacon, Brussel sprouts and turnip,” pretty sure nothing would come up. Lol, yours was the only choice. But, I’m on a mission this year to cook when I can and stop letting my frige be a vegetable graveyard, so I threw my hands up and said, “what the hell.” As it turns out…this was fabulous! I will make this often. Super good with some parm and sriracha. Thanks for making dinner! Awesome! So glad you found it and liked it Kari!